In London this morning at 11:08 A.M. Sam Mendes announced the title, cast, and shooting locations of the 24th James Bond film, titled Spectre. 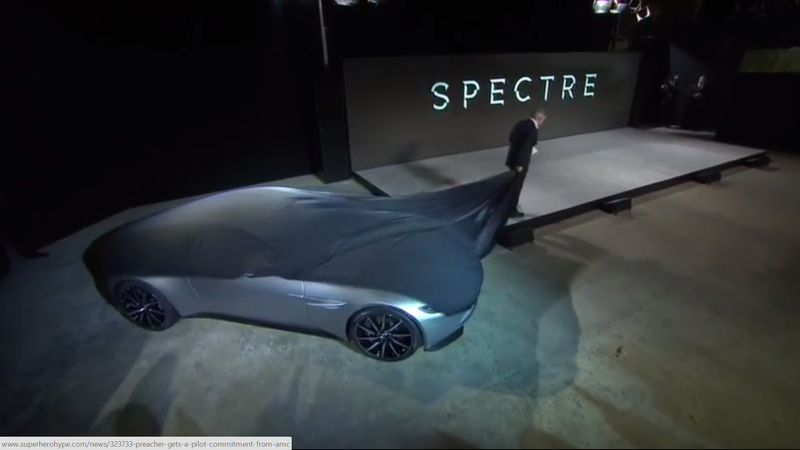 Oh, he brought the brand new Aston Martin DB10 with him, too. There are literally no details on the car from the press event, as it was sort of more for the film and not necessarily the car. But hey, what better way to show off new sheet-metal when you have James Bond in your pocket. It's a little reminder of when they introduced the DBS, back in 2007. I'm sure more details of the car are to come later today. Until then, here's what we know. "A cryptic message from Bond's past sends him on a trail to uncover a sinister organisation. While M battles political forces to keep the secret service alive, Bond peels back the layers of deceit to reveal the terrible truth behind SPECTRE." Oh yea, I told you so.